Do the Flank Markers on Reynolds Avenue Need to be Moved? 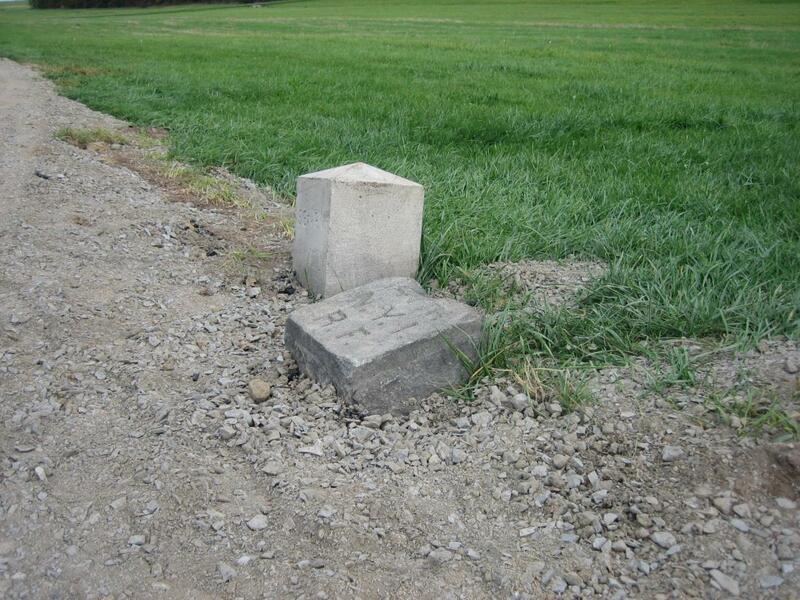 It appears that while most of the dirt and gravel is still around the right flank marker to the 147th New York, the marker is now similar in height to the left flank marker of the same regiment. This view was taken from the west facing east at approximately 4:00 PM on Thursday, October 16, 2008. 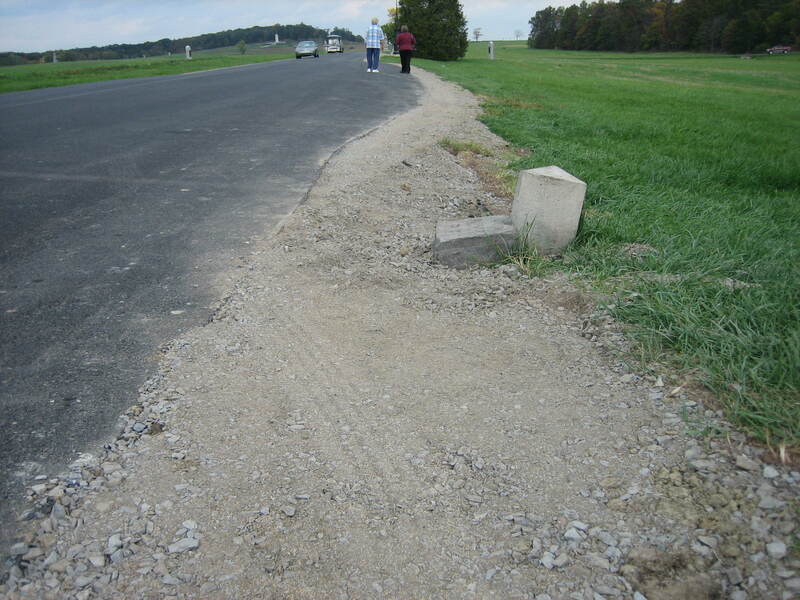 When one looks at the map in the brochure of Gettysburg National Military Park, they will notice byways labeled roads, turnpikes, and avenues. 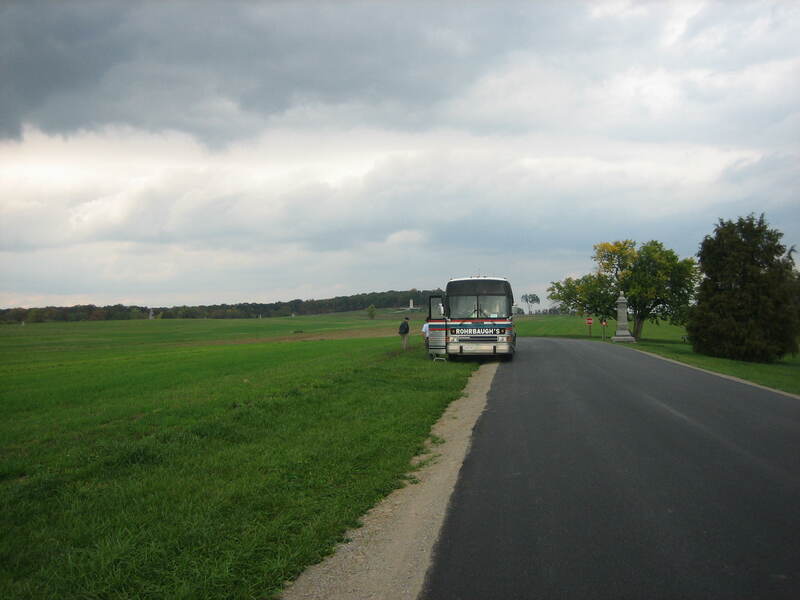 The roads and turnpikes were here at the time of the battle. Most of the avenues were not. 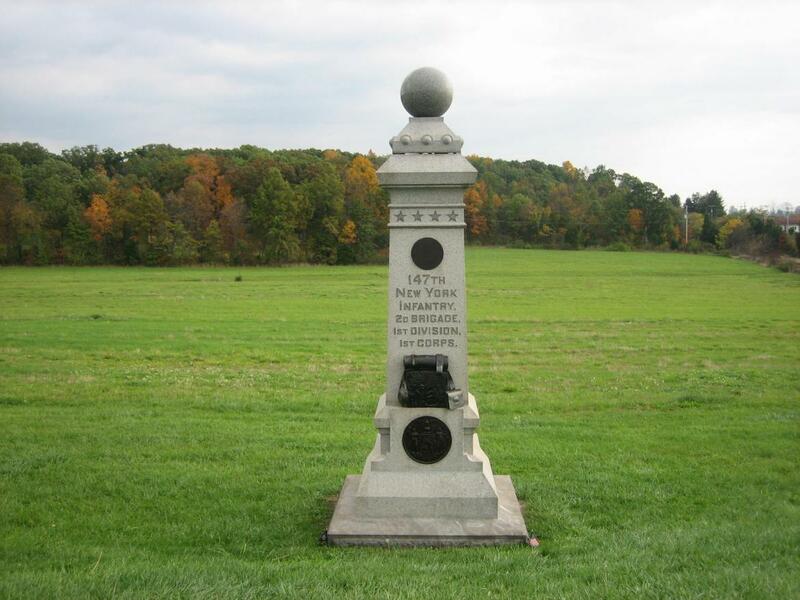 Avenues were added after the battle, during the period of the Gettysburg Battlefield Memorial Association, so that people could see the monuments that were being erected more easily. Now the tail is wagging the dog. The avenues are getting wider and are endangering the markers and monuments which the avenues were supposed to help visitors see. 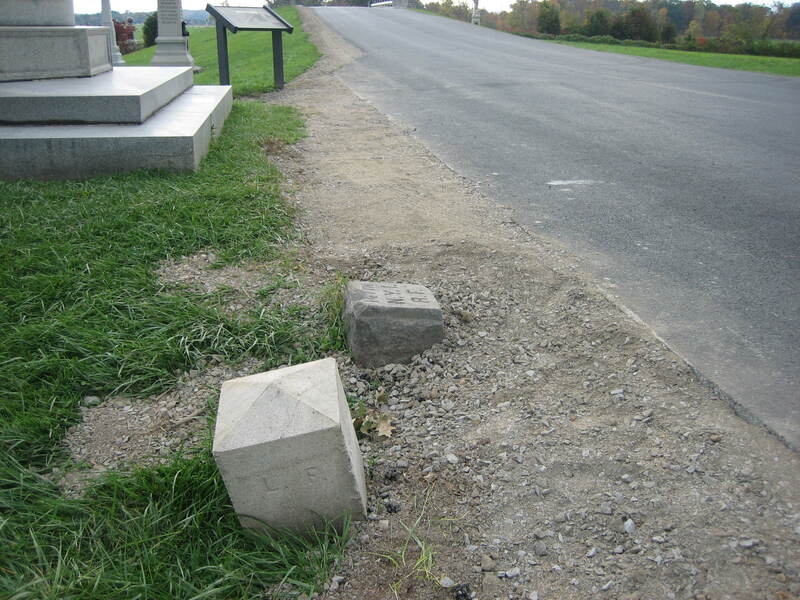 We believe that even if all the dirt is removed from around the markers to the 56th Pennsylvania and the 147th New York, they will still be in danger of being struck by vehicles. We feel that they need to be moved farther from the road, to the east. 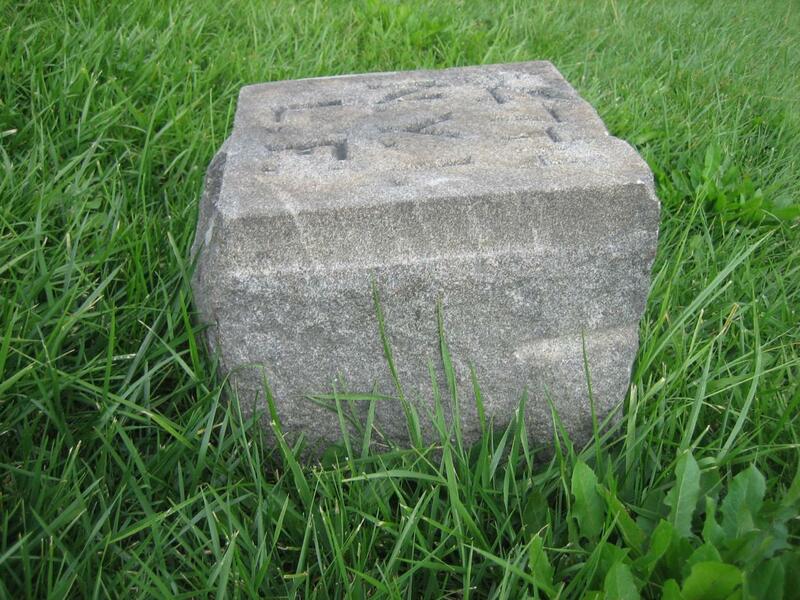 The left flank marker to the 147th New York is located near the Reynolds Avenue Bridge, or Railroad Cut Bridge. This view was taken from the southwest facing northeast at approximately 4:00 PM on Thursday, October 16, 2008. This view shows that the dirt removed from around the north side of the right flank marker to the 147th New York exposes it the same amount above the dirt as… This view was taken from the north facing south at approximately 4:00 PM on Thursday, October 16, 2008. 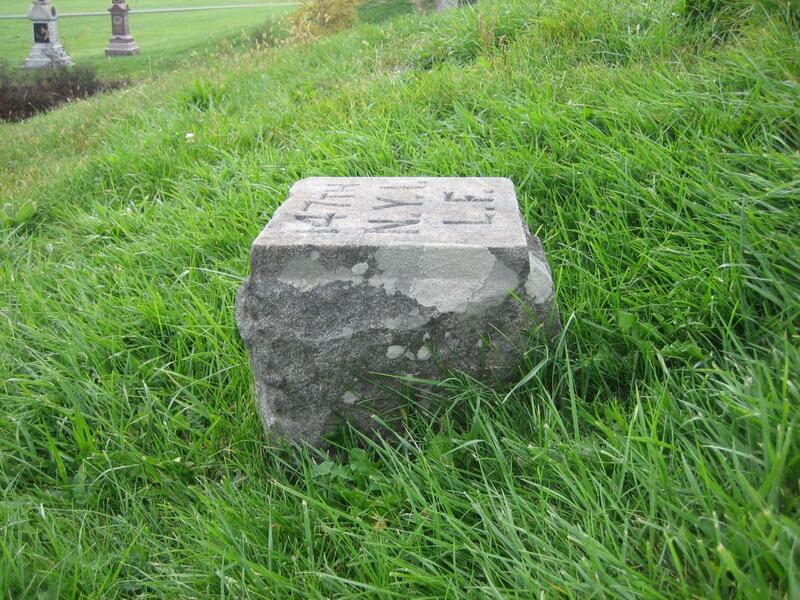 … as the north side of the left flank marker to the 147th New York. The monuments to the 95th New York and the 6th Wisconsin are in the left background. This view was taken from the north facing south at approximately 4:00 PM on Thursday, October 16, 2008. By the way, here’s the monument to the 147th New York, dedicated on July 1, 1888, on the 25th Anniversary of when the regiment fought near this area. This view was taken from the west facing east at approximately 4:00 PM on Thursday, October 16, 2008. 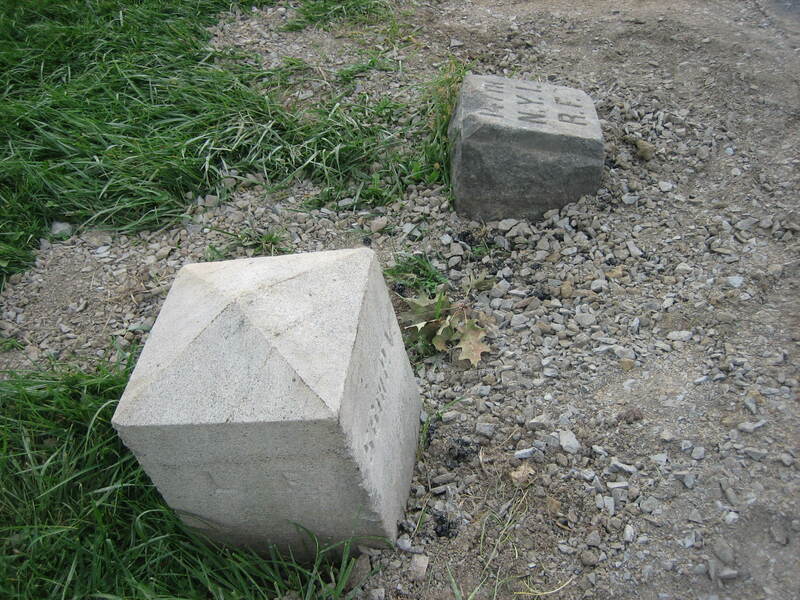 The situation that the National Park Service has put itself in here, is that they have had the asphalt extend closer to the monuments and markers. If they dig up all the dirt between the 147th New York and the road, they’ll have a nice hole for a vehicle’s tire to get stuck in and possibly damage the marker. This view was taken from the north facing south at approximately 4:00 PM on Thursday, October 16, 2008. 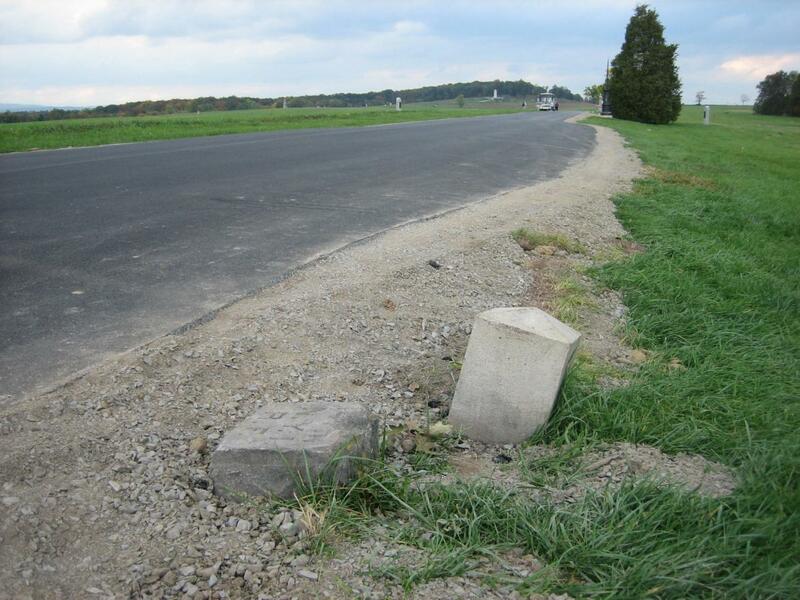 But as has been pointed out before, cars have driven over the marker. This picture from today shows a vehicle’s tire tracks coming not too far from the marker. This view was taken from the south facing north at approximately 4:00 PM on Thursday, October 16, 2008. The National Park Service is encouraging/anticipating visitors to place the right wheels of their vehicles off the road. That’s why the shoulders have this gravel and dirt mixed with the grass seed. For stabilization. 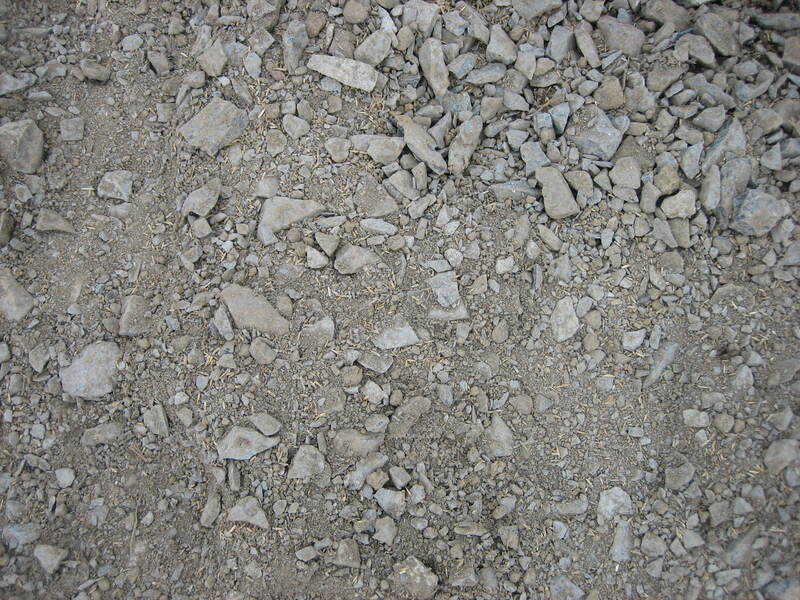 (Yes, if you look closely, you’ll see the grass seed). This view was taken from the south facing north at approximately 4:00 PM on Thursday, October 16, 2008. One might say to themselves, “Self, will vehicles actually park this far off the road?” Please look down Reynolds Avenue, above these markers, and to the right of the Eternal Light Peace Memorial. What do you see? This view was taken from the southeast facing northwest at approximately 4:00 PM on Thursday, October 16, 2008. 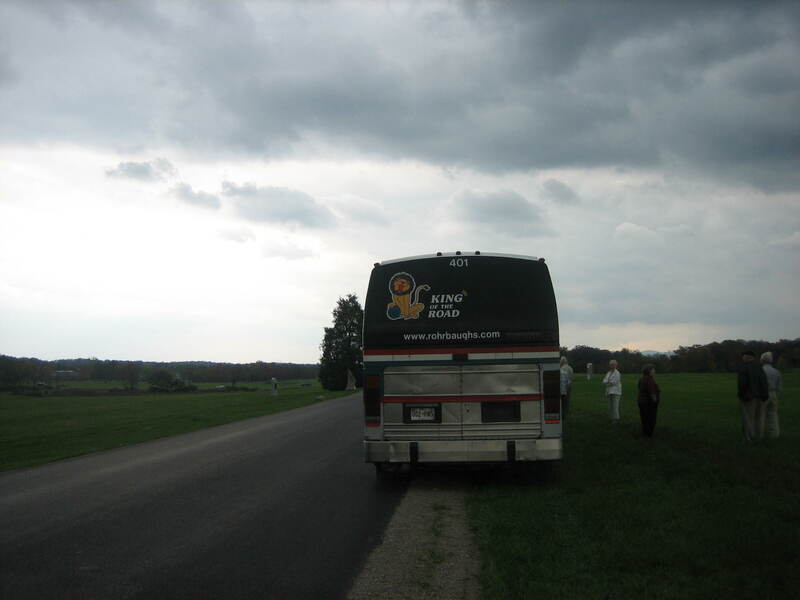 A bus parked well off the road, even in the grass. This view was taken from the south facing north at approximately 4:00 PM on Thursday, October 16, 2008. This is not an uncommon scene. Vehicles park well off the road in many places on the battlefield. 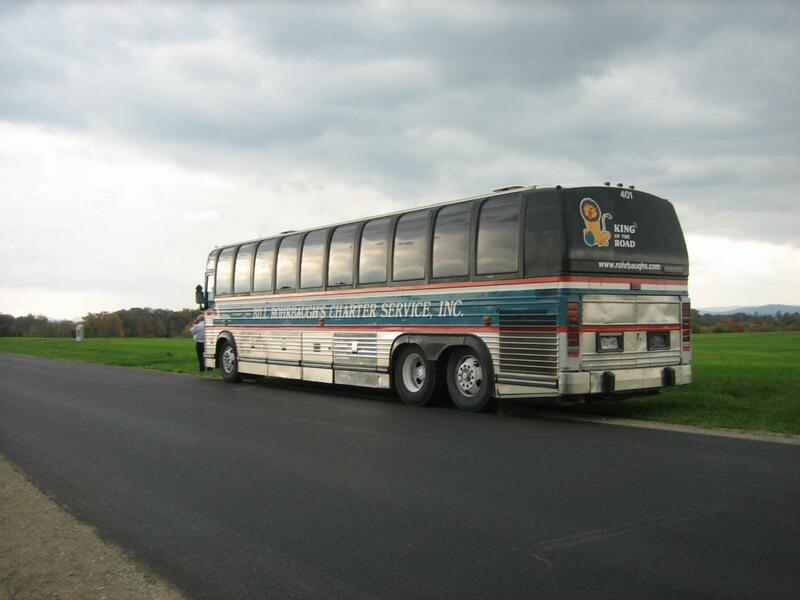 This bus, carrying members of the Carroll County, Maryland Historical Society, broke down on their tour this afternoon. This view was taken from the west facing east at approximately 4:00 PM on Thursday, October 16, 2008. The bus driver, realizing Reynolds Avenue is a two way road, parked well off the road so as not to block traffic. This view was taken from the north facing south at approximately 4:00 PM on Thursday, October 16, 2008. We know the Park Service isn’t going to reduce the width of the avenues. 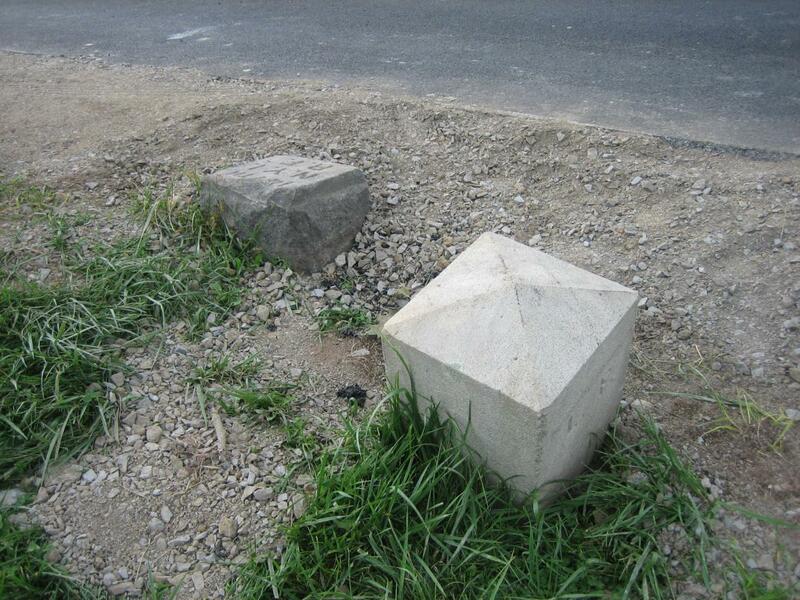 However, if the markers stay where they are, they’re probably going to be struck. This view was taken from the west facing east at approximately 4:00 PM on Thursday, October 16, 2008. 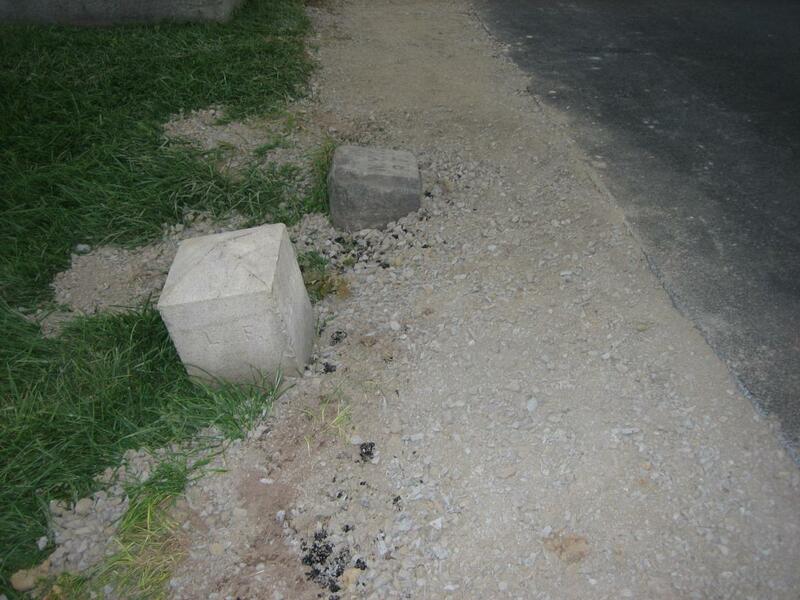 We’ve come to the conclusion that the markers need to be dug up and moved farther from the road, to the east or left. The 56th Pennsylvania fought on this extension of the east arm McPherson’s Ridge. The 147th New York fought on the west arm of McPherson’s Ridge, approximately 300 yards to the west. This view was taken from the north facing south at approximately 4:00 PM on Thursday, October 16, 2008. 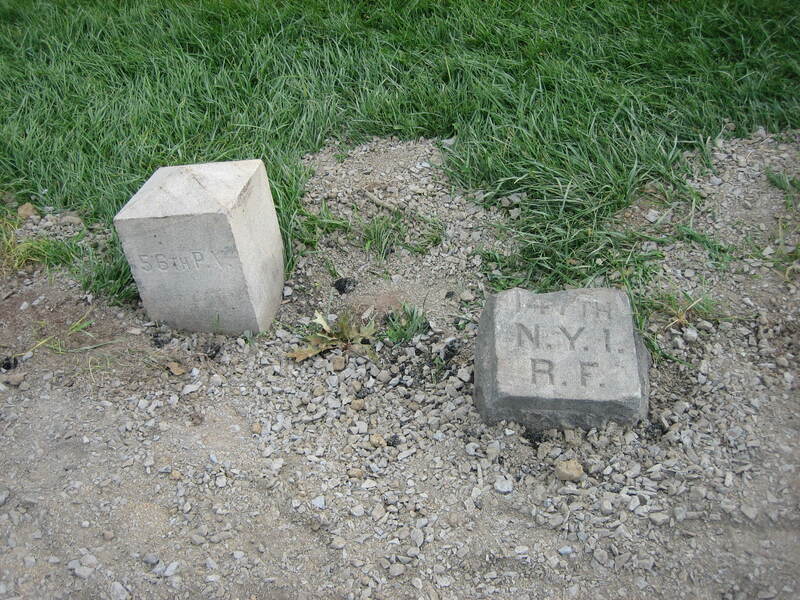 The 56th Pennsylvania (marker on the right) and the 147th New York (marker on the left) suffered a total of 436 casualties at Gettysburg. Most of the casualties occurred in this area on July 1, 1863. Keeping these markers in an area where they have and will be struck by vehicles does not honor the memory of the men in these units. This view was taken from the northeast facing southwest at approximately 4:00 PM on Thursday, October 16, 2008.